Government and Politics affects us all every day, no matter who you are or what you do, learning about democracy, power, authority and systems of government relating to both the UK and United States allows us to understand the changes happening around us every day and makes us more active citizens. The Politics course at Mill Hill encourages learners to argue about the health of our democratic system and promotes an appreciation of key fundamental principles like the Rule of Law and parliamentary sovereignty. The course content is very dynamic, focusing on the every-day changing nature of contemporary society with students stimulated by the fact the subject is in a constant state of flux. A vibrant Politics society is also run by the department attracting challenging guest speakers such as Peter Hitchens and staging engaging and very well attended Question Time events. We operate on the principle that every issue is open to debate. The Mill Hill Politics department is no place for closed minds. All students studying the subject will also have the chance to visit Washington to help bring to life the material studied in class. 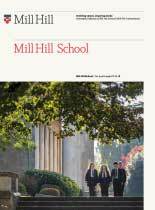 All of this makes being part of the Politics Department at Mill Hill extremely exciting and we hope that the pupils will leave Mill Hill with not only an understanding of the UK political system but with a desire to help shape its future.